At Midnight tonight Eastern Standard Time the Random Shop will have a few more items added to its database... But this time one item will be RARE! 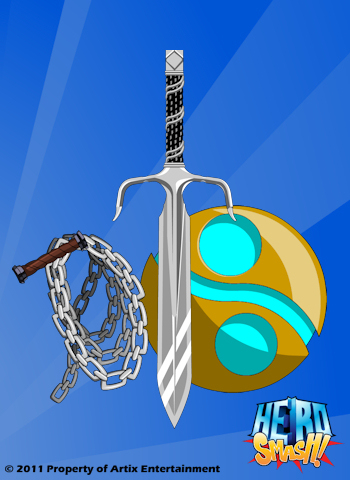 thats right for one day only in the Random Shop you can get the Broadblade-Sai! Founders get it NOW! (Plus Founder version is CC). The Founder version is perm where as the Random Shop one is only for one day and then gone forever! NEW! Shop updated so time is counting down! NEW! Less than 12 hours before the Broadblade-Sai is gone forever form the Random Shop!